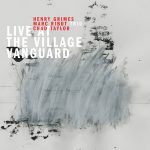 Henry Grimes (acoustic bass, violin, poetry) has played nearly 550 concerts in 29 countries (including many festivals) since 2003, when he made his astonishing return to the music world after 35 years away. He was born and raised in Philadelphia and attended the Mastbaum School and Juilliard. As a youngster in the 50s and early 60s, he came up in the music playing and touring with Willis Gator Tail Jackson, Arnett Cobb, Bullmoose Jackson, Little Willie John, and a number of other great R&B / soul musicians; but drawn to jazz, he went on to play, tour, and record with many great jazz musicians of that era, including Albert Ayler, Don Cherry, Benny Goodman, Coleman Hawkins, Roy Haynes, Lee Konitz, Steve Lacy, Charles Mingus, Gerry Mulligan, Sunny Murray, Sonny Rollins, Pharoah Sanders, Archie Shepp, Cecil Taylor, and McCoy Tyner. Sadly, a trip to the West Coast to work with Al Jarreau and Jon Hendricks went awry, leaving Henry in Los Angeles at the end of the 60s with a broken bass he couldn’t pay to repair, so he sold it for a small sum and faded away from the music world. Many years passed with nothing heard from him, as he lived in his tiny rented room in an S.R.O. hotel in downtown Los Angeles, working as a manual laborer, custodian, and maintenance man, and writing many volumes of handwritten poetry. He was discovered there by a Georgia social worker and fan in 2002 and was given a bass by William Parker, and after only a few weeks of ferocious woodshedding, Henry emerged from his room to begin playing concerts around Los Angeles and shortly afterwards made a triumphant return to New York City in 2003 to play in the Vision Festival. 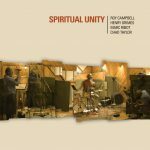 Since then, often working as a leader, he has played, toured, and / or recorded with many of this eras music heroes, such as Rashied Ali, Marshall Allen, Fred Anderson, Marilyn Crispell, Ted Curson, Andrew Cyrille, Bill Dixon, Andrew Lamb, Edward Kidd Jordan, Roscoe Mitchell, David Murray, William Parker, Marc Ribot, Wadada Leo Smith, and Cecil Taylor. 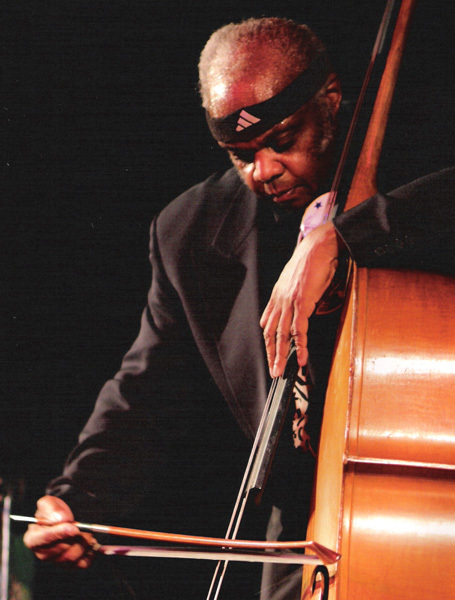 In the past few years, Henry has also held a number of residencies and offered workshops and master classes on major campuses, including Berklee College of Music, Buffalo Academy for Visual & Performing Arts, CalArts (with Wadada Leo Smith), Hamilton College of Performing Arts (with Rashied Ali), Humber College (Toronto), Mills College (with Roscoe Mitchell), New England Conservatory, the University of Gloucestershire at Cheltenham, the University of Michigan at Ann Arbor, and several more. He can be heard on about a dozen new recordings, made his professional debut on a second instrument (the violin) at Lincoln Center with Cecil Taylor at the age of 70, has seen the publication of the first volume of his poetry, Signs Along the Road, and creates illustrations to accompany his new recordings and publications. He has received many honors in recent years, including four Meet the Composer grants. Mr. Grimes can be heard on more than 85 recordings. He has been a permanent resident of New York City since 2003.